Yellowstone National Park sits atop a massive supervolcano that’s considered one of the greatest volcano threats in the county. 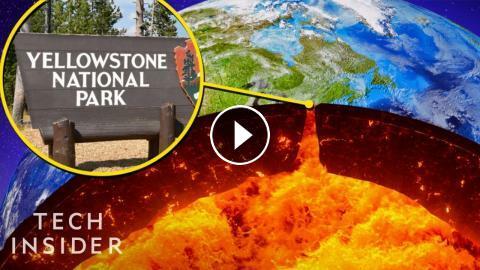 While experts estimate that a super-eruption might not happen for another few million years, NASA scientists performed a thought experiment to determine how we could prevent Yellowstone from ever erupting again. Their hypothetical idea involves cooling the volcano down by pumping cold water into a series of wells around its perimeter. If implemented, the scenario could potentially save Earth from a super-volcano apocalypse. CAN WE SAVE THE EARTH BY MOVING IT AWAY FROM THE SUN?